Welcome to Day two of this month's TSG Sneak peeks! 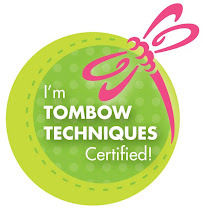 !This month we have two new sets from Megan Suarez: Amalia Ballerina and Poppy. I just LOVE Megan’s style, and we hope you do too! Amalia is the sweetest dancer, and Poppy is the newest of our Spice Girls. Amalia Ballerina is a 3x4 set that includes a total of 3 stamps, and will sell for $9.00. 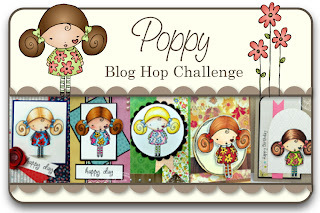 Poppy is a 3x4 set that includes a total of 5 stamps and will sell for $9.00. Both sets will be available on Saturday, May 25th at 11pmEST. I love both cards. Amalia Ballerina is so stylish! The hot pink border really makes the card pop. So cute! 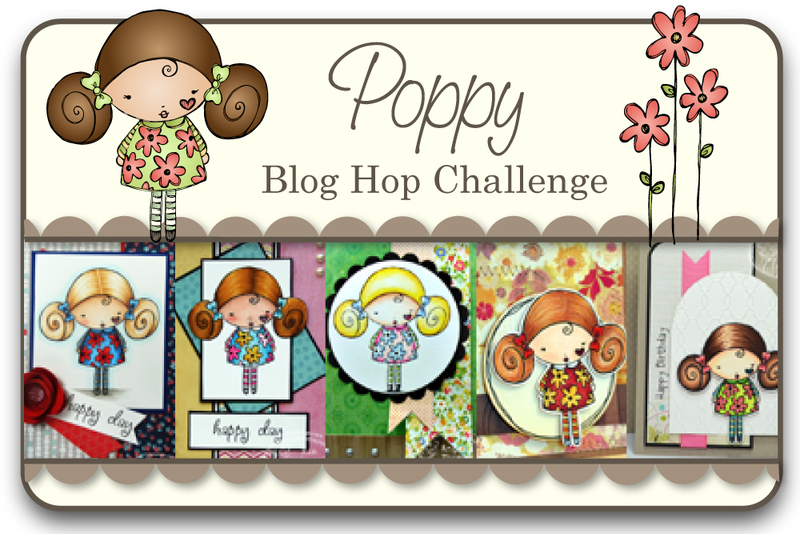 Both of these cards are just lovely - the colors and layering set off the images so well! Great cards Angela, I like the subtle colouring on your first card! Love your use of black paper to frame the images, it really makes the piece pop! I am so loving that both these little ladies are blonds! Awesome cards! Awesome cards! Love these images. Very sweet cards. Wonderful job. Beautiful cards. Love the background papers on each one. 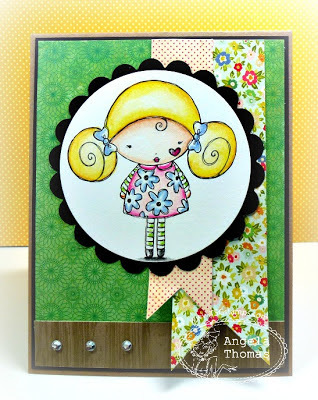 Super cute cards, love the yellow hair. wonderful colouring and use of banners on both. I really like the striking background paper on the Amalia card and then how you made the top of her dress match that and left so much white. Both cards are very dainty and pretty! 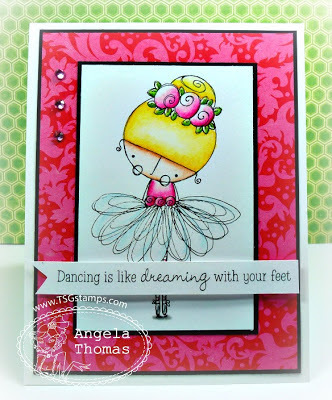 Love that ballerina card....so dreamy how you left her tutu uncolored. Just like layers and layers of tulle. Both cards look fantastic, such cute little girls!